Today I am digging deeper than my normal recipe posts. I am talking about my journey with hypothyroidism and food sensitivities. This is important, and I feel it my duty to share with you. Why is discussing hypothyroidism and food sensitivities important and relevant on a food blog? Because, food is medicine. It’s that simple. Sit back, and let me tell you a little story. I was diagnosed with hypothyroidism in 2010. Then in 2013, I was diagnosed with Hashimoto’s thyroiditis and celiac’s disease. In simple terms, this autoimmune disease is when your body attacks its own thyroid, treating it as an invader. There is also a suspected link between Hashimoto’s thyroiditis and food allergies, especially those like gluten sensitivities and celiac disease. Gut health is immensely important in taking care of an underactive thyroid, and gluten issues damage the body’s ability to properly absorb nutrients, lending a hand to crappy gut health. Now you’re probably wondering why in the gosh dang world I post recipes with gluten in them. And sugar. And all the “bad” things for you. Well, for a number of reasons. One, I’ve been given the runaround by various doctors—the first doctor said I had IBS, another diagnosed me with celiac’s disease, then the next one told me I didn’t have celiac’s disease. I couldn’t get a straight answer and sort of, well, gave up. Second, food is comforting and fun, and I believe in balance and moderation. I thought that maybe I didn’t have any food allergies, and sometimes you just need a brownie, ya know? But, here I am. Sitting with a stomachache, feeling exhausted, and just not right. Shortly after setting a goal to take my health more seriously by starting with getting a food sensitivities panel, I received an email from a company called Helix. 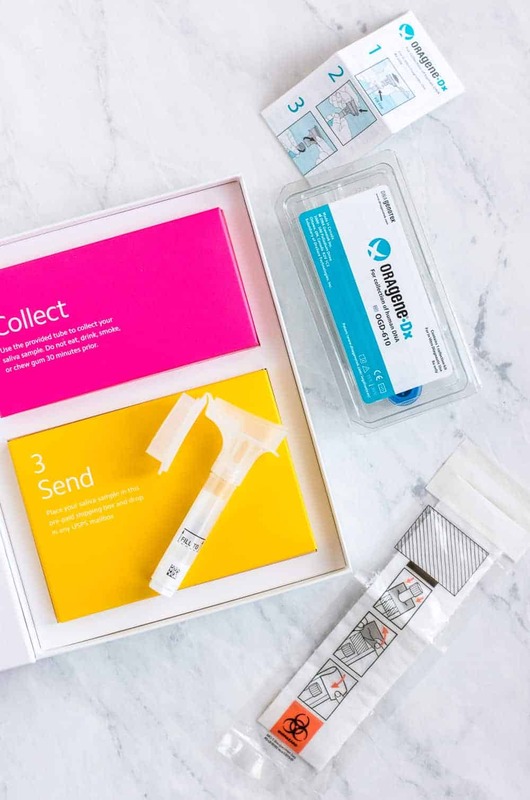 They send you a DNA kit with everything you need to provide a small saliva sample, including a pre-paid shipping box to send your sample to their lab. When Helix sequences your DNA, they unlock an entire marketplace of products that are personalized directly to you by your DNA. We’re talking ancestry, fitness needs, health information, nutrition issues… so many options. Obviously, I JUMPED at the opportunity to get a Helix DNA Kit and the Food Sensitivity+ Kit made by one of Helix’s partners, EverlyWell. 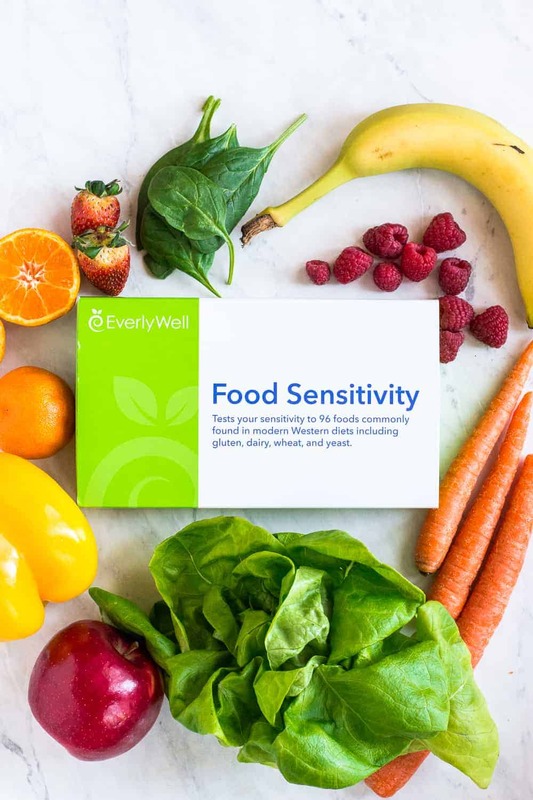 The EverlyWell kit specifically looks at your sensitivity to particular foods, as well as your genetic predisposition to processing certain foods and nutrients. And I was looking for those answers! I don’t think I’ve ever manifested something so clearly in my life. We’ve been watching a lot of Kung Fu Panda, and Master Oogway’s one-liner metaphors are SPEAKING to me … “One often meets his destiny on the road he takes to avoid it.” Ummm, okay, Oogway, get out of my head and let’s review my life in the last five years. Ignores the warnings because CARBS. Starts a food blog because BUTTER AND CARBS. Food blog makes me feel sick and hooks me up with a food sensitivity kit because there’s a BIG chance that I am sensitive to gluten. Oogway, THOSE ARE THE WISEST WORDS I’VE EVER HEARD. Anyway, here we are. I ordered the Food Sensitivity+ Kit from the Helix store. 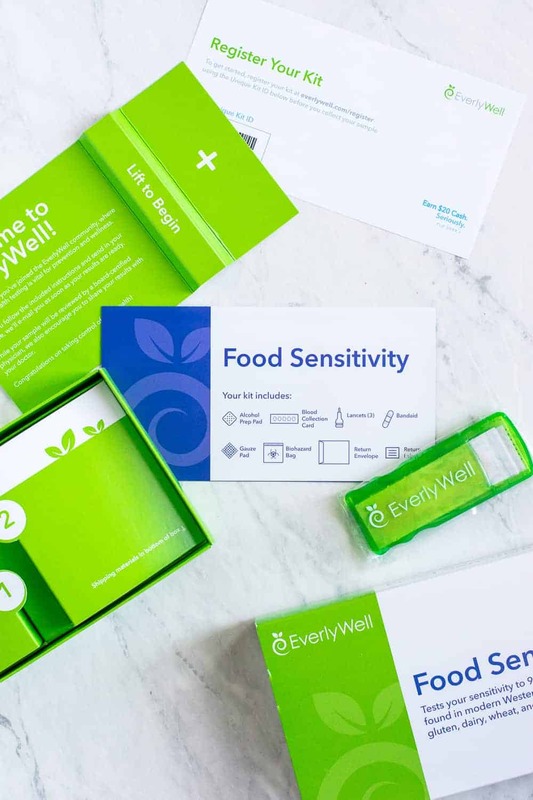 When you order the kit, you get one DNA collection kit from Helix, and one Food Sensitivity+ Kit from Helix’s partner, EverlyWell. They are two distinct kits which are delivered separately, and you mail them back separately. Both are extremely easy to use and well-designed. I had to do a saliva collection sample for the DNA test, and prick my finger with a lancet, which for the record, TERRIFIED me at first. Turns out I’m really good at taking blood samples, and the process was incredibly clean and simple. They include all the pieces for cleanup, too, and it comes with prepaid return packaging. So, to summarize. 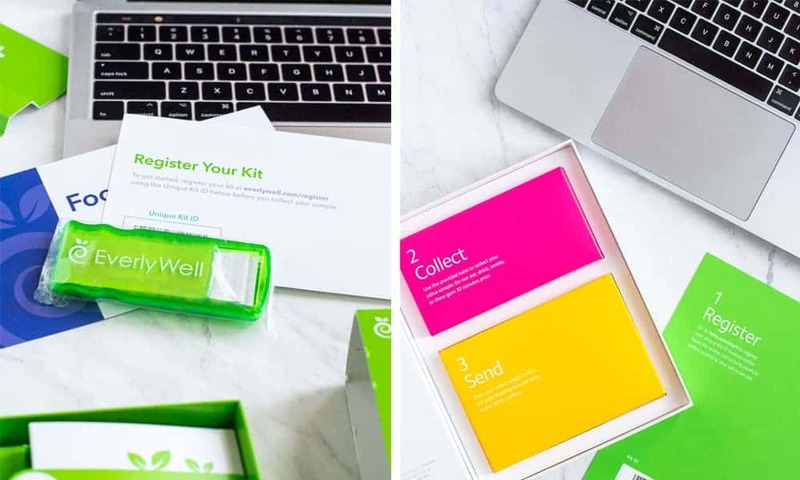 You get two kits: one DNA collection kit from Helix requiring a saliva sample, and one blood collection kit from EverlyWell. (Hey, as one follower of mine said on Instagram Stories, be glad it’s not a stool sample.) You register your Helix DNA kit with the special code that comes in the box. 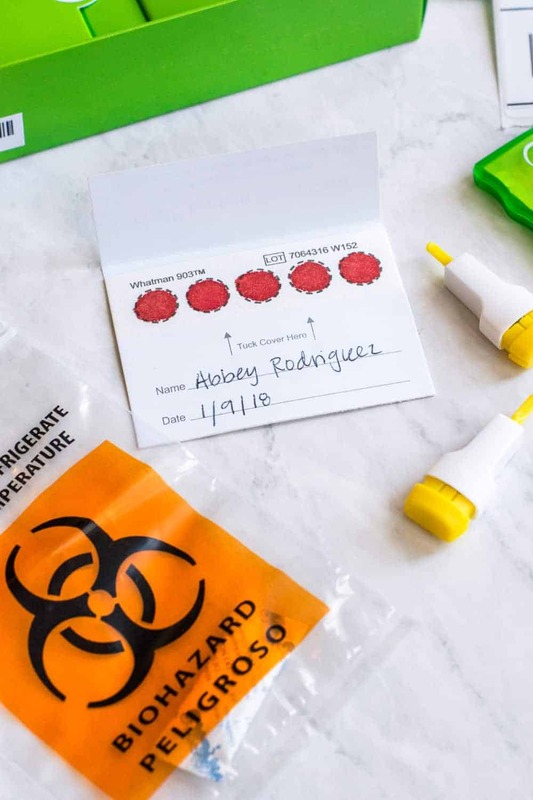 Following the easy step-by-step directions included, it takes about 5 minutes to collect your saliva sample and package it up. 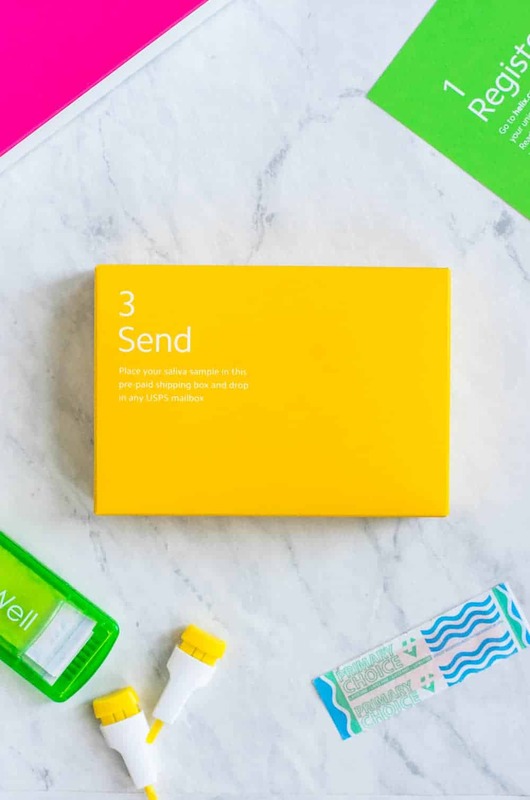 The EverlyWell kit takes about 10 minutes to complete and you package and send it separately. Both provide video tutorials to make sure you do everything correctly. Now we wait on the results. They should be here in a couple of weeks. I am so excited I can hardly stand it. This is even better than Christmas Day. I 100% stand by and recommend this product. I’ve partnered with Helix to give the first 30 readers a 30% discount off any product in the Helix store, including the kit I did, Food Sensitivity+ Kit. Click here to order while the offer lasts, and use code “THEBUTTERHALF” at checkout. My word for 2018 is advocate. This word is meaningful to me because it can serve inwardly and outwardly. In regard to this food blog, I told myself at the beginning of the year that I would post more recipes which advocate for wellness. Foods that not only taste delicious and comforting, but that truly nourish the body. And meals that are accessible and affordable. 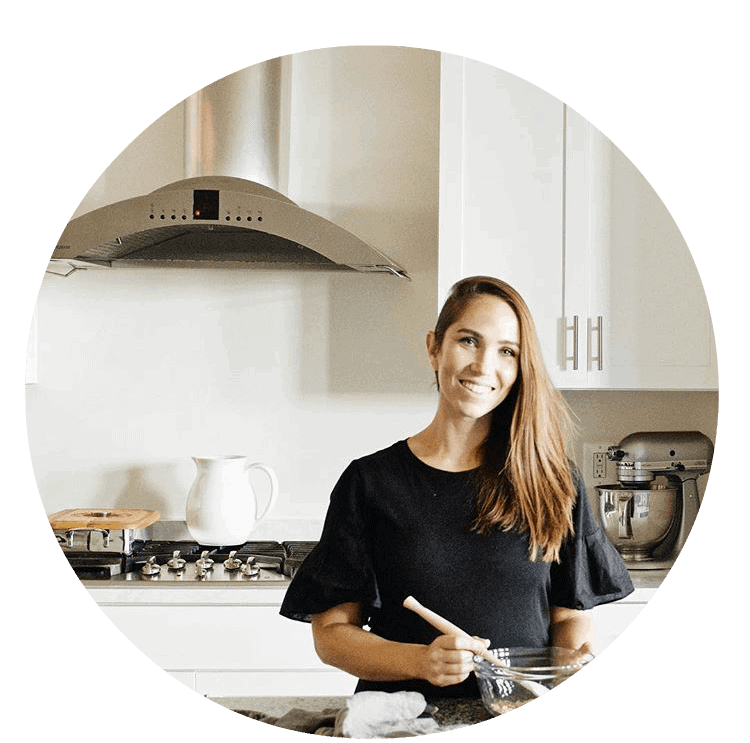 I hope that The Butter Half can advocate for your wellness in 2018 by providing you healing recipes and meals that can be made even with food sensitivities. And that the irony of my blog’s name makes you love it even more. Here’s to finding our paths to a healthier and happier life. Please feel free to leave me a comment below, send me an email, or message me on social if you have specific questions about anything. I am here to help. Thanks for being here, friends. This post is created in partnership with Helix. I have underactive thyroid and i feel so much tingling most likely pins and needles on my cheeks and all over my body. I dont know about food sensitivities and did not undergo screening. Im worried that i feel like electric shocks whenever i eat..
Hi Doris! I am so sorry to hear that. I know how awful it feels physically when our thyroid isn’t working properly. Might be worth it to get a food allergy screening with your doctor. They will be able to give you a full test with the most accurate results. This kit is a great starting point to give you an idea of what could be causing some sensitivity, but it’s always best to check with your healthcare provider for a full diagnosis. Best of luck and I wish you happiness and wellness! Great Share! Thank you for sharing your story. You are truly a very brave person. This article is really inspiring. I am suffering from hypothyroidism for a very long time and so I read a lot of articles about my medical condition. I have also gone through a thyroid surgery recently and would never recommend it to anybody. One should read a lot before taking any decision.